Last week I attended a seminar hosted by experts in human resources and corporate law. The primary subject of the event was how to avoid legal problems down the road by making smart decisions in the hiring process upfront. Among the points discussed were such topics as the importance of writing a good job description and avoiding discriminatory hiring practices. Yet, the subject that generated the most interest among the attendees was the significance of hiring for cultural fit. It seemed that many of the employers at this function were struggling with this issue. 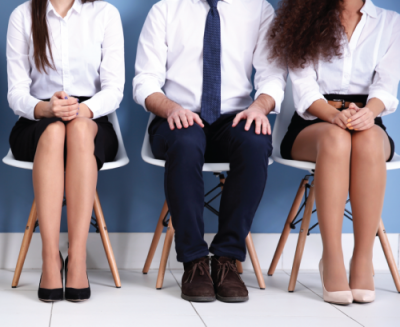 There were stories shared about hiring experiences where employees who appeared to be “all stars” in the interview process actually performed quite differently once on the job. It was discussed how some of these employees actually became toxic to their company once hired due to their negative attitudes or lack of alignment with the company’s culture. The cost of such an experience can be staggering. There is the cost to rehire and retrain, not to mention the lost productivity. Perhaps even more costly is the negative impact the wrong hire can have on the rest of the team. This subject is not a new one. There’s been a significant amount of research establishing the impact and importance of cultural fit. At High Performing Culture, we talk quite a bit about this topic. In our 8 Step Framework, the roadmap for how to be intentional and systematic about your culture, the third step is, “Selecting” people that are a right fit for your culture. Be crystal clear in defining your culture. Does everything you say and do accurately reflect your culture? Does your website and the language you use (both written and verbal) reflect your culture? Any prospective candidate is going to be drawing conclusions about your organization based on anything and everything that you say and how you say it. You want to be incredibly clear and authentic. Ask your candidate open-ended questions. If we ask a candidate if they are a team player or if they are good with details, of course they’re going to answer yes (or at least we’d hope so if they actually made it to the interview stage). Instead, ask them to describe a past accomplishment and the skills they used to achieve it. Within their response look for elements that align with the behaviors and character that are important to that role and are a fit with your organization. Don’t compromise on cultural fit. This one might appear easy on the surface. Yet, what would you do if you had a candidate that possessed exemplary credentials and came with great references but did not appear to be a cultural fit? The demands of trying to fill a vacancy or in finding the right skill set can make it tempting to “take a chance” on cultural fit. Yet, is the cost of making the wrong choice worth it? It takes great leadership discipline to not compromise on cultural fit. We may never bat 1.000 when it comes to selecting the right people for our team. Yet, if we become more intentional in our approach, be crystal clear in how we define and communicate our culture, ask good open-ended questions and be disciplined in our decision-making, we can certainly improve our chances for success. If you’d like to learn more about how you can select the right players for your team, give us a call shoot us an email, or join us at Culture Summit 2017. We’re here to help.